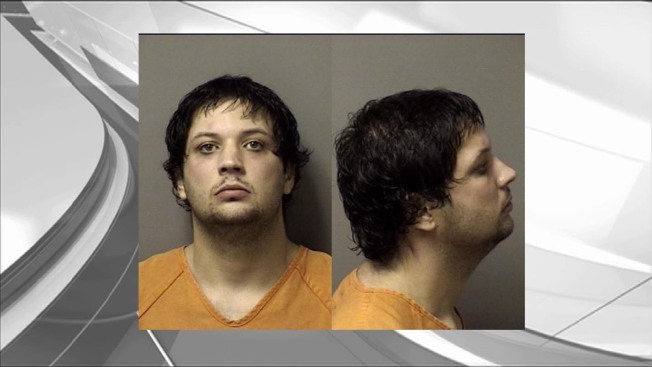 Cody Wygant is accused of smothering his son over a video game. A Florida man suffocated his young, crying son so he could play video games on his Xbox and watch TV, sheriff's deputies said Friday. Cody Wygant, 24, is charged with third-degree murder and child neglect. He was being held Friday without bail at the Citrus County Jail. Sixteen-month-old Daymeon Wygant wasn't breathing when emergency crews arrived at the home Thursday morning. The child was pronounced dead at a hospital, investigators said. "It is inconceivable that a father could kill his infant son — it just baffles the mind," Sheriff Jeff Dawsy said. "Our only sense of relief now comes from knowing that we did exactly what we needed to do to bring justice to him swiftly. Our prayers go out to those who knew and loved Daymeon." Wygant said he was frustrated because the boy was crying uncontrollably, preventing him from playing his Xbox games, according to investigators. He covered the boy's nose and mouth for three to four minutes until he became lethargic, then placed him in a playpen and covered him with bedding, which was tucked around the boy's body and head, officials said. Wygant didn't check on Daymeon for five hours, investigators said, while he played Xbox and watched three episodes of the television show "Fringe." By the time he checked on the child, Daymeon had turned blue and was unresponsive, they said. Wygant is the primary care giver for the child, and the mother — Wygant's girlfriend — was not home, officials said. During preliminary interviews with the parents, they indicated the child had been placed in the playpen around 7 a.m. Thursday, officials said. But upon further questioning, Wygant said he suffocated the child around 1 a.m., they indicated. The medical examiner performed an autopsy, but results haven't been made public. Sheriff's officials said Wygant moved to Florida in 2013 and has no family in the area except for his girlfriend. Her name was not released. It wasn't immediately clear if he had an attorney. They have a 3-month-old daughter, who is in the custody of the Department of Children and Families.